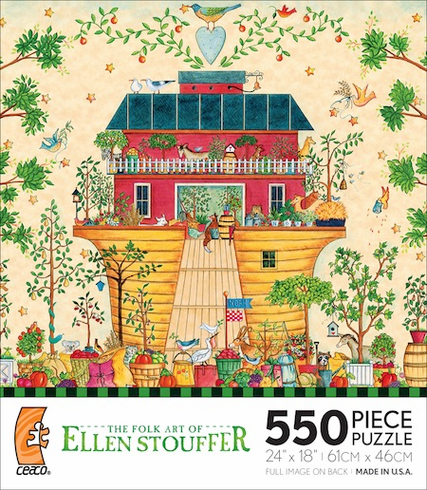 The Folk Art of Ellen Stouffer. 550 pieces. Made in the USA. Puzzle Size: 24" x 18"